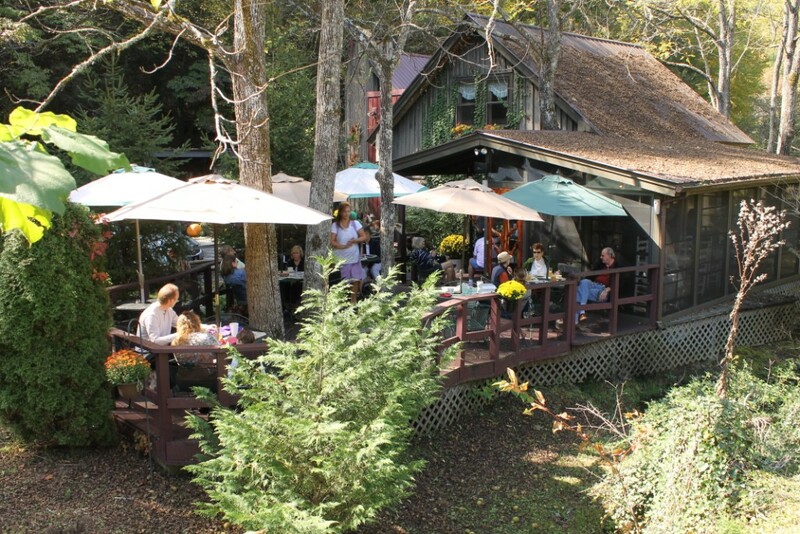 Would you like to uncover a side of Gatlinburg that many people wouldn’t expect? 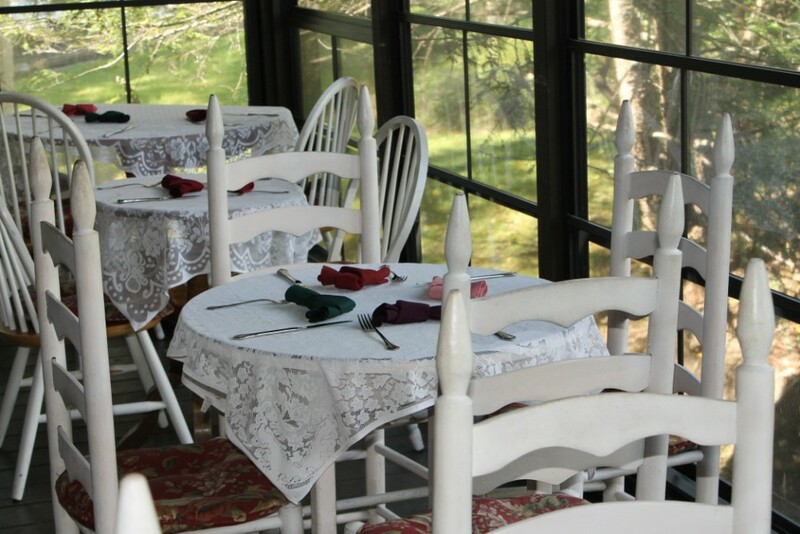 The Wild Plum Tea Room, located along the Arts & Crafts Community Trail on Buckhorn Road, is an eclectic and charming tea and lunch venue. 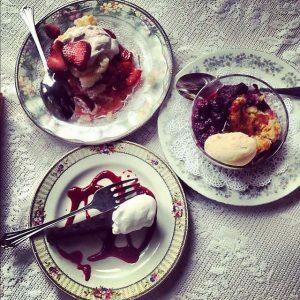 You’ll find here creative and original dishes with an emphasis on seasonal and local ingredients. Reservations a day in advance are highly recommended. Although The Wild Plum technically allows walk-ins, you may be in for a very long wait or not be seated at all. Service can be slow depending on who’s working that day and how busy the tea room is. When you come, be prepared for a leisurely visit. This is not a place to go if you need a quick bite in a hurry. This is also a dog-friendly restaurant; you can take your pet onto the deck. Certain items on their menu vary daily depending on what’s available and what has inspired the chef. However, when you make a reservation, you can request a special meal. This includes vegetarian, vegan, and gluten-free options as well as dishes that work around any food allergies. This restaurant also features an enchanting array of desserts every day as well as the Wild Plum Sampler. For families with picky little eaters, The Wild Plum includes a kid’s menu. Finally, what is a tea room without a robust selection of beverages? Their signature Wild Plum Tea is delicious whether served hot or iced, and you’ll also find a choice of coffees, juices, beers, wines, and standard fare like sodas. The Wild Plum is open on a schedule that varies depending on the time of year. For January to February, its operating hours are Thursday, Friday and Saturday from 11 am until 3:00 pm. You can find out more on the contact page of their website. There are some free parking spots including a handicapped parking space in front of the building. More free parking is available in an overflow lot across the street. The Wild Plum is a cash-only establishment. Credit cards not accepted at this time.